As a Microsoft Surface RT or Surface 2 owner, you’d already be aware that Windows RT does not support connecting to wired internet connections even if you plug your ethernet cable into a Surface Ethernet Adapter (USB-to-Ethernet) connected to your Surface RT. 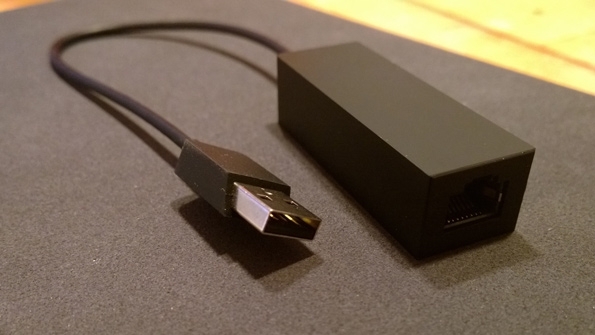 Earlier this week, the Microsoft’s webpage claimed that the Surface Ethernet Adapter also works with Surface 2 and Surface RT, however the information was removed a little while later and now the only compatible devices listed there are running Windows 8.1 with no RT devices included. Windows RT 8.1 does not automatically install the drivers of Surface Ethernet Adapter due to compatibility issues whatsoever. There however is a new solution coming up which claims that Surface tabs running Windows RT can be connected to Ethernet, if they are running Windows RT 8.1. All that needs to be done is to manually ask the Surface RT to install the Ethernet drivers. Here’s how to do that. Plug in the Surface Ethernet Adapter and wait for an Installation Failed error. You’ll notice an Ethernet Adapter with a yellow exclamation mark. Right click on it (Tap and hold for 2 seconds). Select Update Driver Software and then tap on Browse my computer for driver software. Tap on Let me pick from a list of device drivers in my computer. In the Network Adapters list, choose Realtek from the left menu and select Realtek USB FE Family Controller (most probably the only option you’ll have). Press on Next. Ignore any compatibility warnings that it might show. Upon the installation of the driver, you’ll have 10/100Mbps Ethernet access on your Surface RT. Although this is already tested and is working for the Surface Tabs running Windows RT, there might be still be a reason why Microsoft has not enabled ethernet support on Windows RT. Following the above steps might bring in some compatibility issues such as battery drain or anything of that sort. It might also create issues with the Connected Standby feature of Windows 8. Resort to Refresh your PC option if you start experiencing any issues. Does this still work with Surface RT 8.1? Should, but I cannot confirm.